Edward W. Scripps built a media empire that includes daily newspapers in 20 markets stretching from Washington to Florida, Scripps Howard News Service, United Media, and the worldwide licensing and syndication home of PEANUTS and DILBERT. 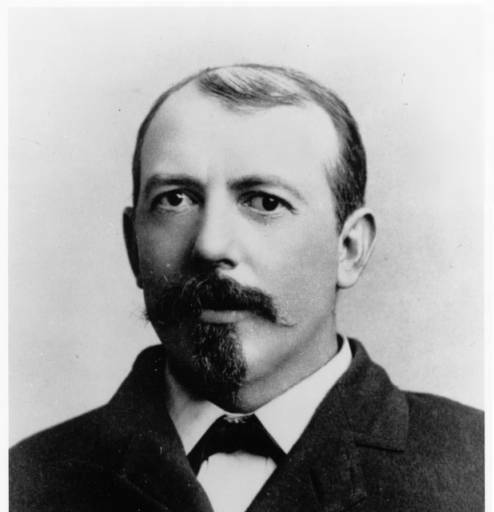 He started the business in 1878, borrowing $10,000 to launch a newspaper in Cleveland called “The Penny Press.” It was aimed at an unserved market of urban workers, and quickly became the model for the nation’s first mass medium. He found a successful formula, and started to build the first chain of newspapers under common ownership. 1. Never spend as much money as you earn. The smaller your expenditures are in proportion to your earnings the sooner you will become rich. 2. It is more blessed to pay wages than to accept them. At least, it is more profitable. 3. Never do anything yourself that you can get someone else to do for you. The more things that someone else does for you the more time and energy you have to do those things which no one else can do for you. 4. Never do anything today that you can put off till tomorrow. There is always so much to do today that you should not waste your time and energy in doing anything today that can be put off till tomorrow. Most things that you do not have to do today are not worth doing at all. 5. Always buy, never sell. If you’ve got enough horse sense to become rich you know that it is better to run only one risk than two risks. You also know that just as likely as not the other fellow is smarter than you are and that whether you buy or sell, in each case you run the risk of getting the worst of the bargain. By adopting my rule you will diminish by one-half your chances of loss. 6. Never do anything, if you can help it that someone else is doing. Why compete with one person or many other persons in any occupation or line of business so long as it is possible for you to have a monopoly in some other field? 7. There is always a good, better and best way. If circumstances compel you to pursue some occupation or to follow some line of business which is being pursued by some other person, then you do your work in some other way than that in which it is done by the other. If you take the best way then the other fellow has no chance of competing with you. 8. Whatever you do once, whatever way you undertake to do a thing, don’t do the same thing again or don’t do the thing in the same way. If you know one way to do a thing you must know there is a better way to do the same thing. Because if you do some other person will try to do the same thing and be your competitor. 10. When you become rich, as you will become rich if you follow my advice, don’t let anyone know it. General knowledge of your wealth will only attract the tax gatherer, and other hungry people will try to get away from you something they want and some-thing you want to keep. 11. One of the greatest assets any man can secure is a reputation for eccentricity. If you have a reputation of this kind you can do a lot of things. You can even do the things you want to do without attaching to yourself the enmity of others. Many an act which, if performed by an ordinary person, would arouse indignation, animosity and antagonism, can be per-formed by a man with a reputation for eccentricity with no other result than that of exciting mirth and perhaps pity. It is better to have the good will than the bad will, even of a dog. Hatred is a useless expenditure of mental and nervous energy. Revenge costs much of energy and gains nothing. 13. The wise man regulates his conduct rather by reason than by instinct. When you find many people applauding you for what you do, and a few condemning, you can be certain that you are on the wrong course because you’re doing the things that fools approve of. When the crowd ridicules and scorns you, you can at least know one thing that it is at least possible that you are acting wisely. It is one of the instincts of men to covet applause. 14. It is far more important to learn what not to do than what to do. You can learn this invaluable lesson in two ways, the first of which and most inspired is by your own mistakes. The second is by observing the mistakes of others. Any man that learns all the things that he ought not to do cannot help doing the things he ought to do. 15. Posterity can never do anything for you. Therefore, you should invest nothing in posterity. Of course your heirs will quarrel over your estate, but that will be after you’re dead and why should you trouble your mind over things which you will never know anything about? 16. A man can do anything he wants to do in this world, at least if he wants to do it badly enough. Therefore, I say that any of you who want to become rich can become rich if you live long enough. 17. After what I have said it goes without further saying that you should save money. But no man can save himself rich. He can only make himself rich. Savings are capital. It is only by doing things that one learns how to do things. It is only the capitalist who handles capital that learns how to handle capital profitably. The more capital you have the more skillful you become as a capitalist. 18. Fools say that money makes money. I say that money does not make money. It is only men who make money. 19. There are two cardinal sins in the economic world: one is giving something for nothing, and the other is getting something for nothing. 20. I would advise you to refuse to be an heir. If you’re a prospective heir of your father or some other relative, you should also consider that a handicap. 21. Despise not the day of small things, but rather respect the small things. It is far easier to make a profit on a very small capital invested in any business than it is to make the same proportion of profit off of a large capital. It is true that after you have learned how to make a profit on a business that shows small capital, successively, as your capital grows, you learn how to handle it profitably. Then the time will come when the greater your capital becomes in this way the greater your pro-portion of profits on it should be. And, for an added reason, as your wealth and skill grow rapidly, your so-called necessary expenses grow much more slowly and in time cease to grow at all, so that beyond a certain limit all your income and added income becomes a surplus, constantly to be added to your capital. 22. It is far easier to make money than to spend it. As it becomes more and more difficult to spend money, you will spend less and less of it, and hence there will be more money to accumulate. 23. The hardest labor of all labor performed by man is that of thinking. If you have become rich, train your mind to hard thinking and hold it well in leash so that your thinking will all be with but one object in view, that of accumulating more wealth.